There’s no question that YouTube should be a vital part of your video sales and marketing efforts. The problem is, many companies have not optimized their YouTube channels as active lead generation and sales tools, while others have completely written off YouTube, claiming it’s for entertainment, and they “don’t visit” YouTube when making purchasing decisions. According to a study conducted by Google in 2016, 68% of YouTube users watch YouTube to help them make a purchasing decision. They define a “user” as a consumer between the age of 18-54 who watches YouTube at least once a month. To a company passionate about reaching new prospects and converting more leads with video, it’s more important than even our most precious social media platforms like Facebook and Instagram. In fact, almost 4X as many people prefer watching video on YouTube versus on social platforms that are less video-centric, so if you’re investing in video, you'd best be investing in YouTube and making your channel a top priority. What you’ll notice about YouTube Channels, though, is that there’s a clear difference between those that actually build trust with viewers and those that do not. This is our task as businesses on a highly competitive platform like YouTube: To separate ourselves from the businesses just using YouTube as free video hosting, and use the platform as well as the Content Creators who dominate the platform. Yes, you too can have a channel that’s just as engaging as the The Tonight Show, First We Feast, or Dudeperfect -- and I’m going to show you how. Pro tip: Customize your teaser text in the info card to replace the default “Suggested: Video Title.” Instead, change the text to something that doesn’t look like spam. This improves the click-through rate and increases views per viewer. Look at the playlists that you currently have on your channel. If yes, at least you’ve started to group your videos. But let’s take it a step further. Shall we? Did you know that YouTube/Google actually rank entire playlists in search results? That being the case, how search-friendly do you think a playlist called “Product Videos” is? This will give Google and other search engines more information to crawl and index to help your channel get found. Having a user-friendly experience is just as important on your YouTube channel as it is on your website. Looking at your channel right now, is it easy to find videos that are relevant for your viewers? Is it organized in a way that makes sense? Sections are a way to lay out individual videos, playlists, and groups of playlists into easy-to-view modules right on the channel page. In this case, the order matters. It’s not until you get to the bottom that the content becomes specific to Joe’s Car Sales. Instead, it starts with “awareness” stage content and gradually works down to “decision” stage content. Remind you of a funnel? Indeed, it should. That’s precisely what it is. Channel trailers are videos shown on your channel page to viewers who haven’t subscribed yet. Similar to a homepage video, this is a great way to introduce someone to your channel and company and let them know what they can expect from your channel. If you do it well, you will see an increase in subscribers and engagement. To illustrate, let’s use the example of Joe’s Car Sales YouTube Channel. In this case, Joe’s channel is meant to educate car buyers about vehicles and financing options. This example from Retrofoam of Michigan is a great example of what we’ve covered above. First, Jacob introduces himself and welcomes you to the channel. Next, he explains what they do and what the channel is all about. Finally, he prompts you to subscribe to never miss an update. Do you remember how everyone used to talk about how important the information “above the fold” was on your website? This was because it was the very first thing a website visitor sees when they drop by. Well, it’s no different on a YouTube channel. 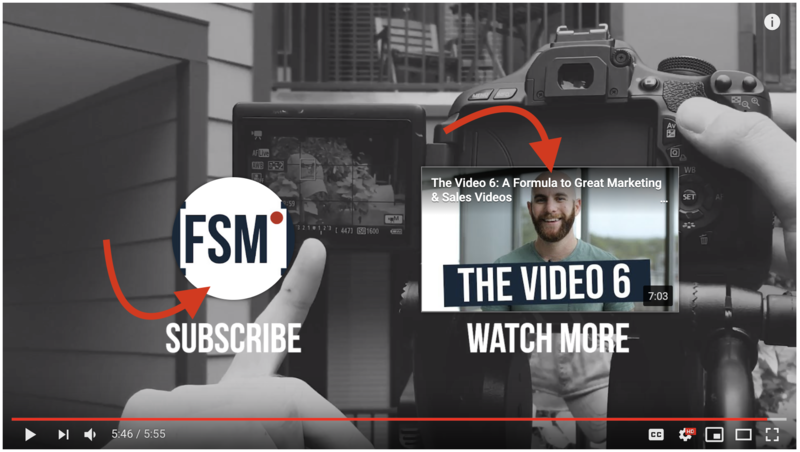 Like a hero image or anything “above the fold,” you should optimize your YouTube Channel Banner to grab people’s attention. A good custom channel banner should include more than just your logo. In fact, the best ones include helpful information about the channel itself, not just the business. Need a helpful template for your channel banner? Download our YouTube Templates Pack. A simple test for how “engaging” you’ve made your channel is to identify how many of the various customization features you’re actually taking advantage of. Once you’ve checked all the customization boxes, ask for feedback from colleagues or customers. See what they like or don’t like and start to make iterations based on that feedback.